It has been a long and full day. 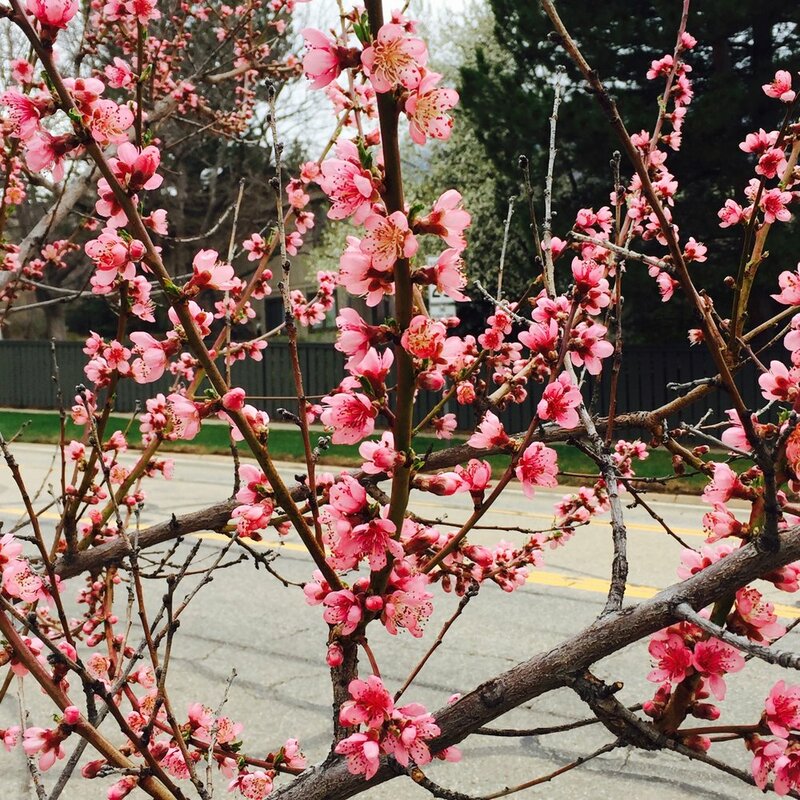 I can never take Boulder weather for granted: in the past few days it has rained, shone, snowed, melted, warmed...The branches of the little peach tree in front are covered with pink blooms. More birds are coming to the feeders in back: not only the small brown birds, but also a pair of doves, some robins, and two rufous-sided towhees. And of course one chutzpadikkeh squirrel, who occasionally sprawls on a little pillow up next to a window and just rests. I had the delight of walking with a friend around a larger lake than in my neighborhood, a longer robust visit. We shared some of the same worlds, knew some of the same people from our pasts; but we ourselves only really met here, in Boulder, and only became friends relatively recently. It is encouraging to know that I can still make new friends. That is good to hear and to remember, because I regularly suffer a grievous dread that I did not bring my beloved as much happiness as I would have wished, and as he deserved. My recurring bouts of grief come of missing him and what we had together; and missing what I would have wished us yet to have . I have not yet learned how not to grieve those of my flaws that affected the ones I loved most dearly.